MPS and Domino have hosted the first edition of Hybrid Demo Days at MPS’ Technology & Expertise Centre in Arnhem, the Netherlands. 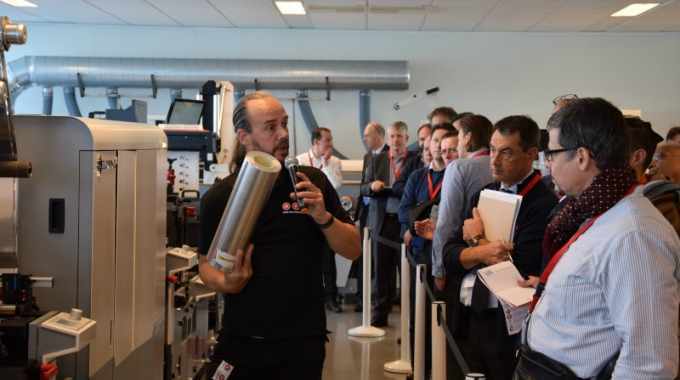 The event welcomed visitors from Belgium, France, Germany, Latvia, the Netherlands, Russia, Spain and the UK, and featured live demonstrations of the MPS EF Symjet with its integrated Domino N610i inkjet engine. 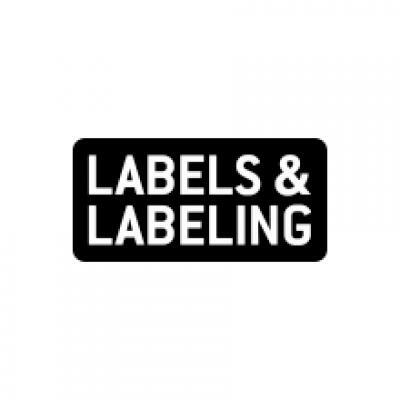 This hybrid combination of MPS’s flexo capabilities and Domino’s inkjet technology enables label converters to print cold foil, spot colors, multiple SKUs, screen inks, laminates, varnishes, and complete final finishing all in one process. The event featured presentations from packaging consultant Dr Sean Smyth and Anum Javed Beg of Alexander Watson Associates. Two live demonstrations were given on the hybrid EF Symjet press, including a job change from self-adhesive labels to shrink sleeves. The EF Symjet from MPS and Domino is the first hybrid press to print shrink sleeves with flexo and inkjet processes. During the demonstrations, MPS manager of the Technology & Expertise Centre Hans Poortinga pushed the limits of the press by printing shrink sleeves at a speed of 70 m/min. The daily program concluded with a live connection with Gregg Temple of Meyers, a US-based print and packaging supplier, who explained how the company’s MPS EF Symjet replaced multiple older presses and achieves higher productivity.